Lost Levels :: View topic - I'm directing a Mega Man game. Lost Levels - A website about unreleased video games. Posted: Mon Jun 08, 2015 11:38 pm�� �Post subject: I'm directing a Mega Man game. Posted: Tue Jun 09, 2015 4:36 am�� �Post subject: Re: I'm directing a Mega Man game. I'd like to see it renamed "The Battle Rainbow Mega Man Legacy Collection", just for extra nerd points. Also, can you please put in a "classic Capcom vaporware" easter egg? Like if you can finish all six games without losing a life, a blurry, blown-up screenshot of NES Black Tiger with the words "COMING SOON FOR '88" suddenly flashes on screen for two seconds. All I need to know, before calling this a day 1 or not, is whether or not I'll be able to PUSH ↑ SFART:BUTTON TO NOURISH THE BLOOD in Megaman 4. Damn, I'll have to pick this up. Nice, hopefully this will be better than the crappy Gamecube collection that I foolishly bought. Is this coming out for Linux? Any prototype stuff in there? It would be neat if Capcom had some early versions of these games. Assuming the art and other material was provided directly by Capcom, and that you can talk about it, do you have any idea of how extensive their archives might be? Like, would they still have art/code/whatever for their lesser known games, or did the Mega Man stuff survive only because it's a flagship title? 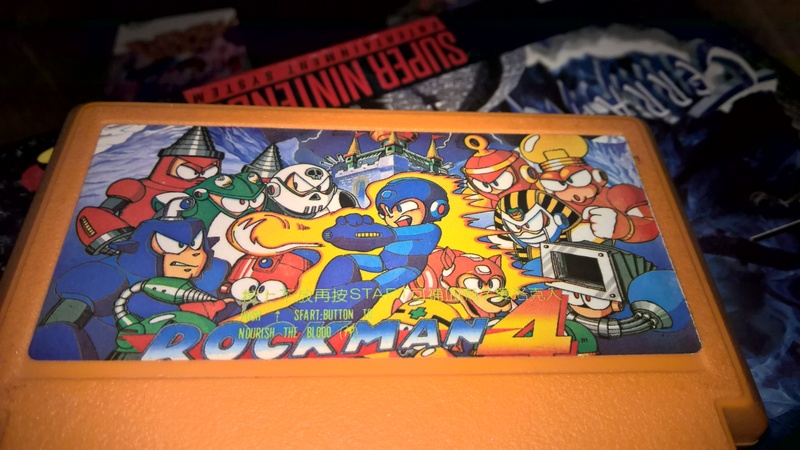 One thing that would be sort of neat if popped up in this, would be a hi-res version of the American Megaman 1 box art. None of the currently released (and rather extensive) art books features that. Frank Caifaldi's tied to this project. Vile ideologue. Pass. Oh, well, I guess you can't please everyone all of the time. But jeez, the comments section gives you plenty more space than a Twitter-length post to actually explain a polarized stance like that. Man if anyone deserved to work on this it'd be you. Congrats. I'll be checking it out. This just sealed the deal on me buying this. Congrats, Frank. I'm eager to see anything like this with you in the decision maker's chair. Congratulations, Frank! All I ask for is customizable buttons. Nintendo's mandatory button assignments on 3DS Virtual Console games drive me nuts. ad drr capcom should give me a discount since I bought all 6 of them on nes 30 years ago, plus I bought it on the gamecube and the ps2, plus they should compensate me for all the bandwith i spend downloading them from the internet over the years! I AM ENTITLED TO A DISCOUNT ON NEW PRODUCT . I should demand a discount after buying the terrible reversed button Mega Man Collection on Gamecube. Who the hell green lighted that?